When you reside in an older home which has hardwood floors, you probably think about refinishing or replacing. 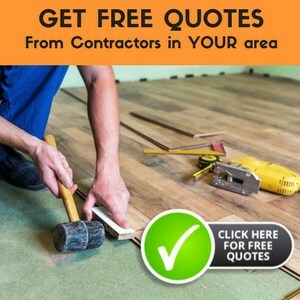 Floor refinishing is a suitable option as it does not necessitate removing the old floor or buying a new material, however refinishing hardwood floors is not a simple project either. Related Reading: Check out one of our best articles about hardwood flooring, including reviews, comparisons and buyers guide! The need for refinishing hardwood is imperative to prevent the floors and its life. If you are about to take up the task of hardwood refinishing, you should be aware of the process. You should understand that refinishing and sanding is unforgiving task. Make a flaw and it will reflect. But, a refinished floor brings charming look to a room like not any other project. When the floor is squeaky, deeply stained, warped or otherwise damaged, you should repair it first and refinish it. Tape each opening, including vent ducts, light switches and electrical outlets particularly. Close off the room from the remaining part of home by sealing the door using masking tape and with hanging plastic sheet across the door opening. Proper sanding is necessary to sand the floor and to get back the grain, which is one of the highly desirable aspects of hardwood flooring. Sanding tools for hardwood refinishing will help to acquire a smooth finish. They offer ventilation while staining and sanding. An open window with fan is a best idea, particularly as the door is sealed. The drum sander is the main tool you will need. Though it is not a part of homeowners’ tool collections, it is available readily as a rental tool. Drum sanders are capable of removing a lot of material quickly. Check out the tips to use drum sander for hardwood refinishing. Start or use in an area which you know is covered by a large amount of furniture, like bed or sofa. By this way, any beginner sanding flaws can be concealed. You are eliminating old stain and dirt and developing a new level surface, hence choose the initial sandpaper accordingly. Keep in mind the smaller the number of grit, the rougher is the sandpaper and more material it can remove. Start with coarse grit and then shift to finer grits as the floor starts to get smoother with every sanding. The estimates of sanding grit differ according to your floor condition. Generally, start with twenty to sixty grit and stop with 120. You would choose to skip the twenty grit pass when the floor is comparatively smooth. Always make use of same grit progression on every area, whether edge, drum or hand sanding. We bought an older house that has hardwood flooring. It was a former disabled home, so there was a lot of scuff and scratch marks. Along with marks from her wheelchair. We loved the house and figured we could just refinish the flooring. Following the tips on here, we were able to save a ton of money from NOT having new flooring installed, and were able to put a nice varnish on it. Great post. And thanks.